When you need to change the Home Page of Modern Team Site in SharePoint Online it's pretty easy to do through UI. Just go to the Pages library, open context menu for the page you want to make a homepage and select "Make homepage"
But what if the page you want to make a homepage is a Document Library or List View Page that is, obviously, not presented in the Pages library? 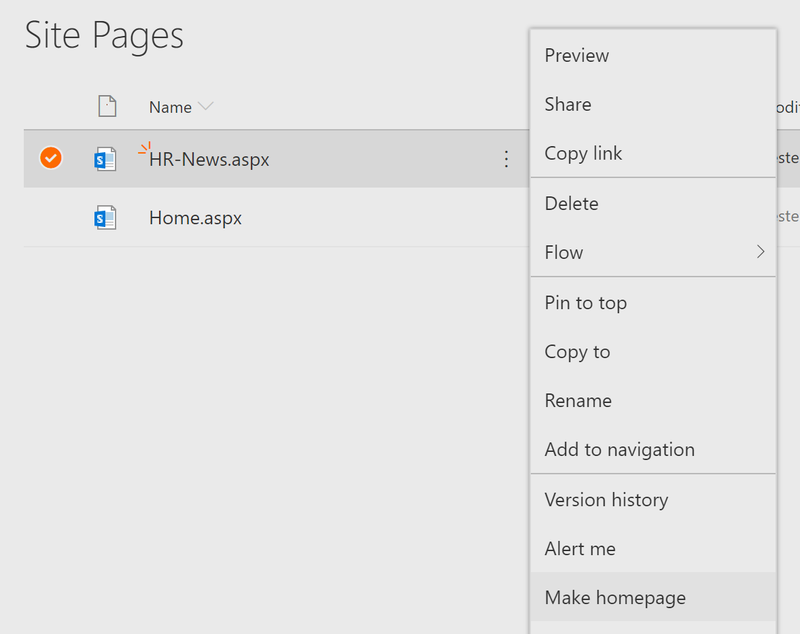 One of the ideas that could get into a mind is to use "Welcome page" functionality from Classic Publishing SharePoint site. Even if the Publishing feature is not activated, the page is available and accessible using url (relative to the site) _layouts/15/AreaWelcomePage.aspx. That's all you need. After executing the script you'll have you homepage set to Documents All Items View page.